Markland is the name given to a part of shoreline in Labrador, named by Leif Ericson when he landed in North America. Markland, Norse for "forestland" or "borderland", is known to be north of Vinland and south of Helluland. The story is told in the Saga of the Greenlanders and is generally believed to be Labrador. 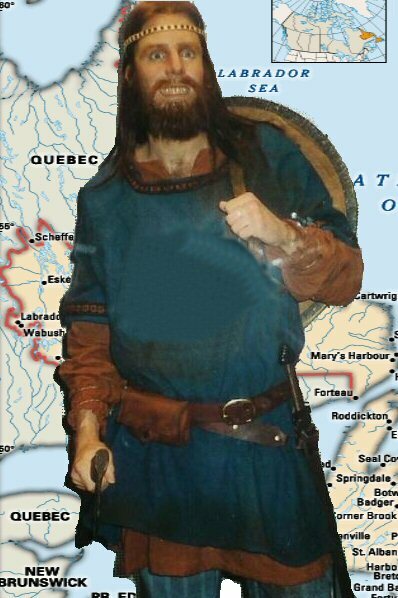 Ericson's crew cut down trees and took them to Greenland because Greenland had relatively few trees in the Viking period. Excavation of Viking settlements has shown the presence of birch trees, probably because the climate was much warmer then. Although it was never apparently settled by Norsemen, there were probably several later expeditions from Greenland to gather timber.